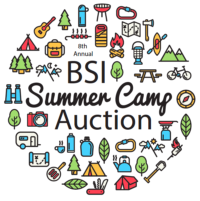 The Camp Auction Needs You! It’s Easy! Sign up to ask one to five (or more!) camps and activities for donations on this form: http://bit.ly/BSICampAuctionTracker. New camps and companies are welcome! Just add them to the grid.